With the start of school, parents everywhere are struggling to get their kids back on an earlier schedule after a summer of free rein. And a certain chart that has gone viral isn’t helping to make them feel less anxious about it. Based on your child’s age, it tells you when you should put them to sleep so they get enough rest for the next day — and a lot of parents are pretty surprised at how early the bedtimes are. Stacy Karlsen, an educator from Wilson Elementary in Kenosha, Wisconson, posted the chart on August 28 because she thought it would be helpful to parents with children at her school. Since then, it’s been shared more than 380,000 times. “To me, it was a shock [that the post was shared so much]. I didn’t make it up. I found it coming across my personal page and I thought, Wow, this is super helpful,” the first grade teacher told Fox6Now. 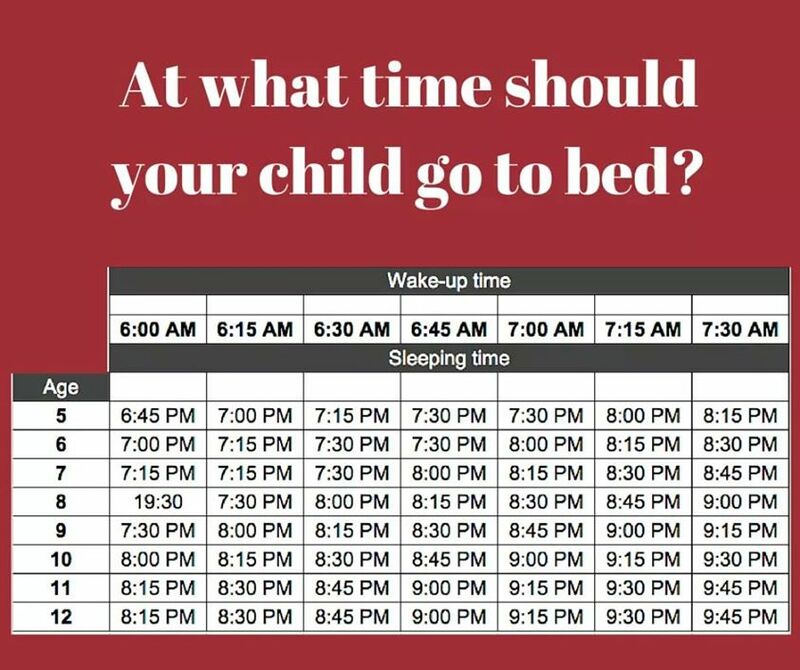 But many moms and dads are finding the chart’s rigid guidelines anything but helpful: “This isn’t [the] military and if I was to send my kids to bed at 7 at night they would be up at 4 a.m., no thank you … Plus I would never get to spend time with them after school,” one mom, Erica Bodie, posted in the comments.